Even the fae are known to go to battle when nature is threatened. And holding the sword at their side is one of these Woodland Vine Sword Frogs, designed to support your blade while infusing an element of nature into a warriors look. This sword hanger is a versatile piece that easily fits most LARP blades with ease, making it an excellent addition to almost any look that needs a touch of nature. 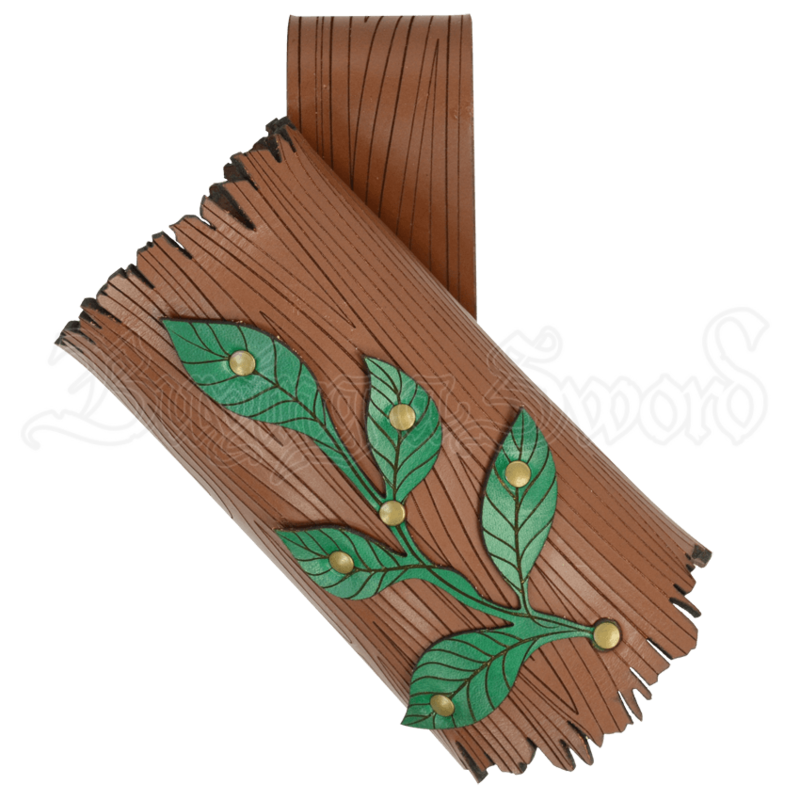 The tube and belt loop are engraved to look like tree bark, while the tube itself is accented with a sprig of green leather leaves. Made in 7/8 oz. 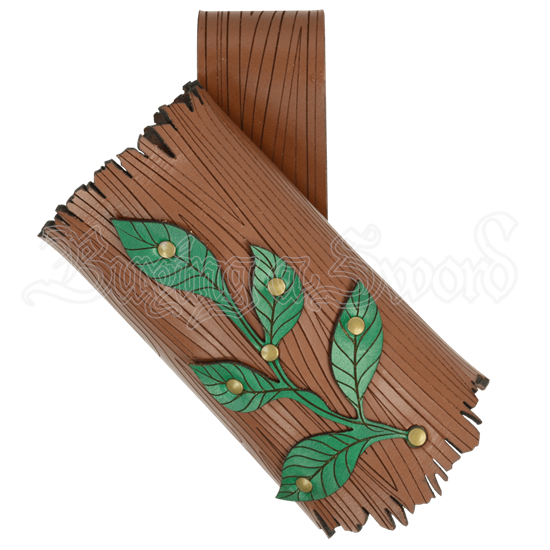 leather, this Woodland Vine Frog is quite durable as well, and with its natural look, it makes for a great accent to add to any elvish, fantasy, druidic, or fae look you might plan to battle in.